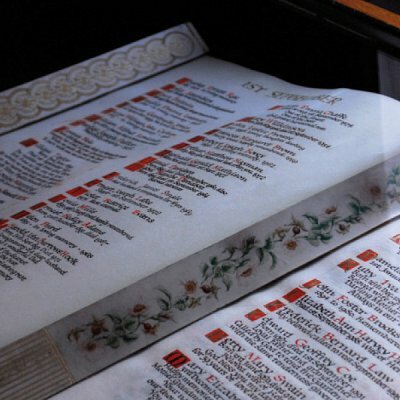 The book of remembrance is on view daily in a display cabinet. Flowers and cards can be placed just outside in our floral tribute area designated to our Book of Remembrance. 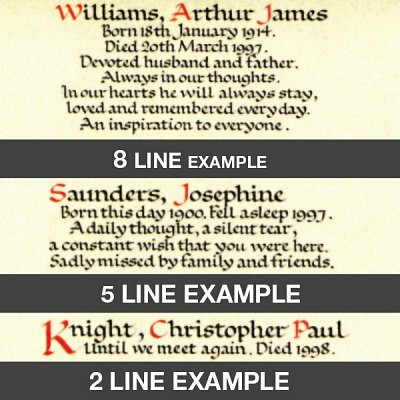 The Miniature Book of Remembrance and Memorial card are intended as personal keepsakes or for sending to friends and relatives who cannot easily visit the crematorium.